Junior forward Corey Johnson drives toward the baseline against Yale on Jan. 26. Johnson converted on three triples and totaled 11 points in that contest. 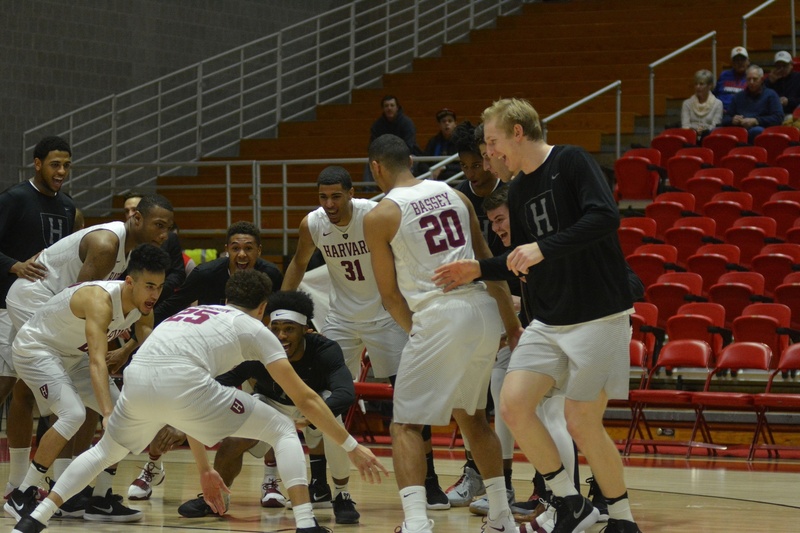 An hour before tip-off in Ithaca, N.Y., on Feb. 3., the Harvard men’s basketball team collectively jogged onto the court for the first time. Only a scattering of media and fans was present inside Bartels Hall—Cornell’s multi-sport athletic complex—at that hour, and many were heading towards Lynah Rink, where the nation’s No.1 men’s hockey team was warming up for a duel against its cross-state rival, Rensselaer Polytechnic Institute. Meanwhile inside a quiet Newman Arena, two voices particularly stood out on the basketball court. One came from head conditioning coach Luke Osberg, who was guiding the Crimson in pregame stretches as they moved parallel from one side of the court to the other. The source of the other voice: junior forward Corey Johnson, who was noticeably stretching a few steps ahead of the rest of the team. 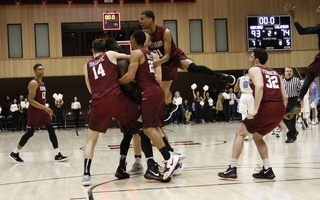 The defeat less than 24 hours ago against Columbia did not seem to affect the energetic three-point specialist, who throughout pregame was exchanging a mix of light-hearted banter and short pump-up messages with a team that, according to head coach Tommy Amaker, was still quite “gassed and tired” from the previous night’s contest. As the only upperclassmen in Amaker’s rotation with consistent minutes, Johnson has taken over as Harvard’s on-court vocal leader this season. This post in the past was held almost exclusively by Siyani Chambers ’16-’17 and Zena Edosomwan ’17 , whose graduations last year left questions as to who would become the new guiding leader(s) on Amaker’s roster. 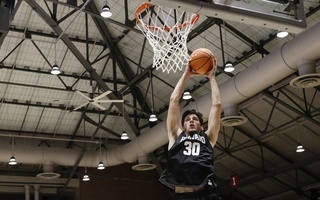 Corey Johnson looks to distribute the ball against Yale. The Ottawa native has logged 28 assists so far this season. The 11th-year Crimson head coach made clear over the summer that senior Chris Egi, a native of Markham, Ontario, had earned his right to be the team’s official captain for the 2017-2018 season. 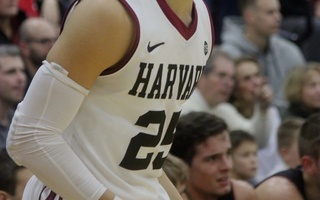 Egi has been an important mentor to the young Harvard team throughout the season, despite only seeing action in two games. Particularly enthusiastic on the sidelines, the team’s captain has contributed in many ways towards infusing positive energy onto the Crimson. On the court, however, Johnson has been the clear headman. During quick breaks in the action, the Ottawa native can often be seen yelling at teammates to gather and huddle. During these team meetings lasting no more than ten seconds, the junior uses this time to settle the team down and offer encouraging statements. Johnson is also extremely outspoken during timeouts, frequently being the last voice before the team returns onto the court. Johnson pumps up the team during pregame introductions in the Feb. 3 contest against Cornell. The presence of a stabilizing force like Johnson has been critical for a young team that is still struggling through inconsistency and long offensive barren stretches this season. 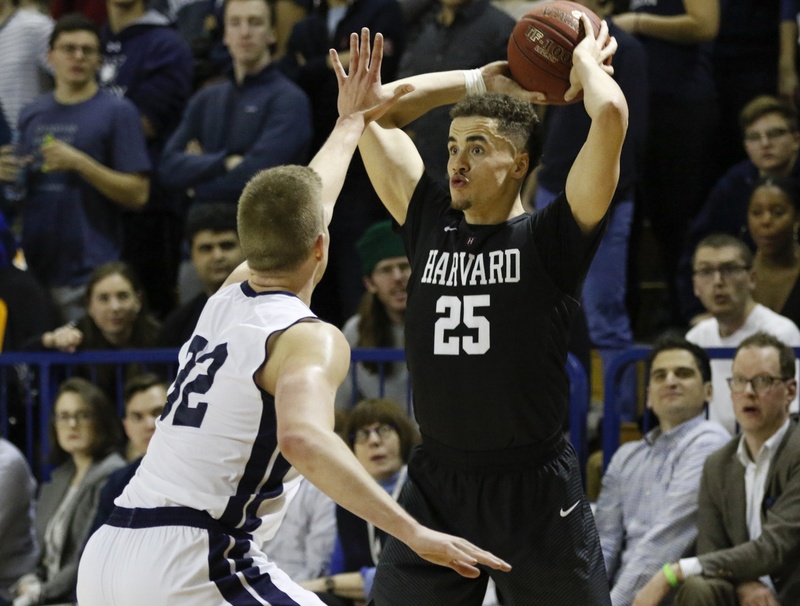 Against Dartmouth on Jan. 20, Harvard was up by as much as 17 points in the second half before going blank in the next six minutes, ultimately requiring an offensive revival in overtime. A similar pattern occurred in the Yale contest six days later, which saw the Crimson jump out to a 20-5 lead only to allow the Bulldogs to bring it within four by halftime. Made free throws down the stretch were crucial in that victory. The junior wing has also had to battle against his own shooting woes, particularly early in the season. In a stretch of five games between Nov. 30 and Dec. 23, Johnson shot a combined 6-of-22 from three point range, averaging 4.0 points per game. 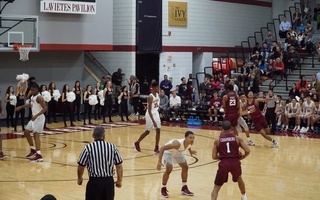 Despite this extended shooting slump, Amaker gave his three-point specialist more than 30 minutes of playing time in each of the next three games. Moreover, Johnson was still given the green light to shoot, achieving greater accuracy with nine made triples in 21 attempts. Amaker’s continued trust and confidence in one of his main perimeter weapons has paid off in recent conference games. Johnson has shot over 40 percent from deep in his past four games, including five made triples against Columbia. Before that Lions game, Amaker attributed making easier shots on helping the shooter regain his touch. For Johnson, continued improvement offensively will be critical in balancing out a talented Crimson roster as the team approaches the end of the season. 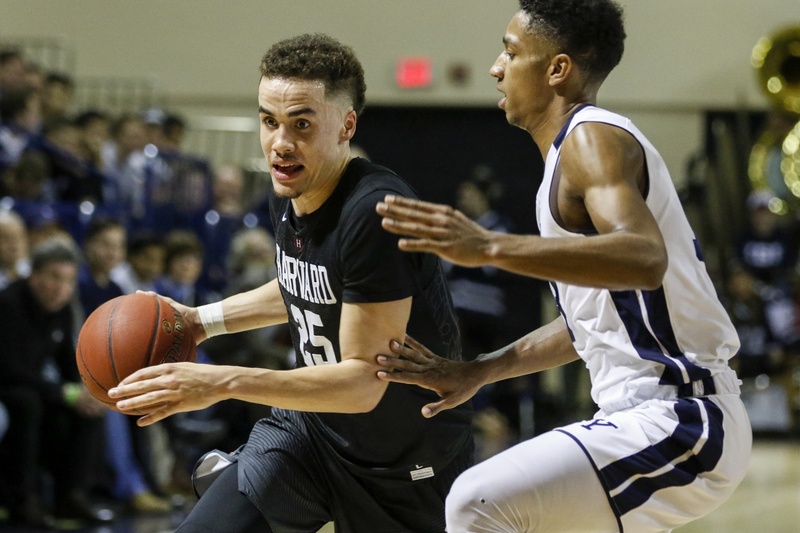 Currently in second place in the Ancient Eight behind the unbeaten Penn Quakers, Harvard will depend on Johnson’s aggressive perimeter shooting to open space for its sophomores and freshmen to attack the rim and create playmaking opportunities. The junior wing has largely embraced this vocal but complementary role on the team, crediting the importance of ball distribution and communication on both sides of the court for the team’s recent success. 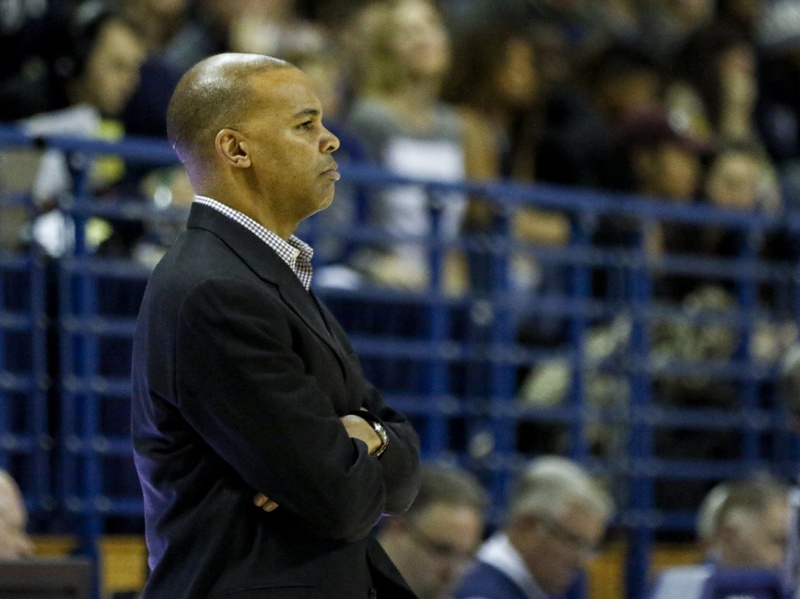 This type of team-first, collective mentality has become not only an important motto for Coach Amaker, but a message that his team leaders have embraced. In many ways, Johnson’s words echoes the type of openness and trust that Amaker has sought from all members of his program. To lead, as Johnson has demonstrated, involves a balance between gaining a voice and holding others accountable. —Staff writer Henry Zhu can be reached at henry.zhu@thecrimson.com. ​The Crimson’s rookie wrestlers continued to make their presence known this weekend as the team took the mats at the Keystone Invitational.